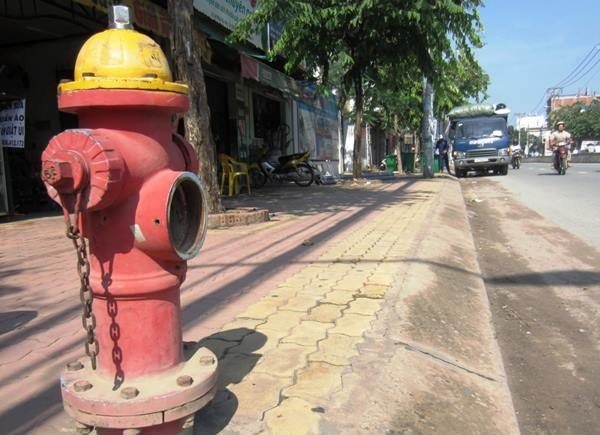 HÀ NỘI — Prime Minister Nguyễn Xuân Phúc has asked the Hà Nội People’s Committee to look into recent reports that hundreds of fire hydrants don’t have water, affecting the city’s fire-fighting capability. The PM’s instructions came after local newspapers reported that more than 300 hydrants in the city were either broken or had no proper water supply. The committee has been asked to send a report on the matter before May 10. On April 11, Colonel Nguyễn Tuấn Anh, deputy director of Hà Nội Fire Prevention and Fighting Department, said that the city’s fire-fighting equipment and facilities do not meet requirements. Anh was quoted as saying that 330 hydrants in Hà Nội were either broken or did not get water. “These fire hydrants have no water as the localities are too far from the water plant and the water pressure is too weak to pump water,” he said. To resolve the problem, Anh said his department had to contact representatives of the water plant and ask them to increase water pressure. He also said that fire hydrants are managed by the construction department, and that his department could do nothing to improve the situation. He pointed out that HCM City has assigned the control of fire hydrants to its fire prevention and fighting department, and recommended that Hà Nội should do the same to ensure that the fire hydrants are in working condition. Around 1,280 incidents of fire have been reported across the country in the first three months of this year, killing 27 people and injuring 47 others, and causing a loss of around VNĐ683 billions (US$30 million). In Hà Nội alone, there were 197 blazes, most of them caused by short circuits, welding or by burning votive paper.